A former House Democrat is revealing her battle with MS in an op-ed pleading for lawmakers to maintain healthcare coverage for people with pre-existing conditions. 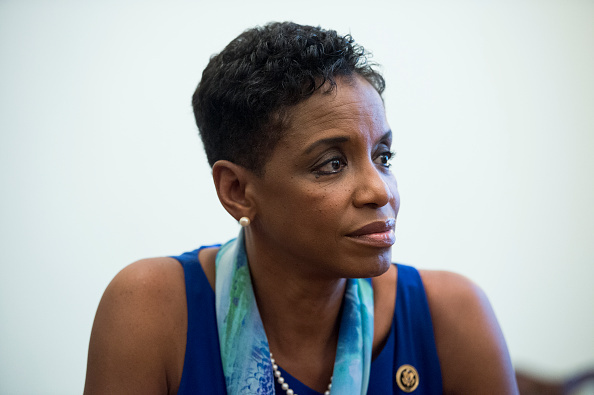 Former Rep. Donna Edwards (D-Md.) said she is worried she won't be able to cover medical costs of nearly $100,000 a year. "But I pray that as you finish doing whatever it is that you are doing with health care, you remember that I was one of your colleagues, that I worked hard and that I don’t have a preexisting condition because I was a bad person who led an unhealthy life," Edwards wrote Friday in The Washington Post. "I have a preexisting condition simply because I do; and I, like millions of other Americans in the same situation, deserve quality, affordable health care," she continued. Edwards said her physician called her during a sit-in on the House floor in June of 2016 to tell her she had been diagnosed with MS. The former Maryland lawmaker compared her coverage while she served in Congress to the new the uncertainty she faces with the new Senate GOP measure. "A year later, I am no longer in Congress, and my future health care is uncertain. I am not employed, and I pay $800 a month for my COBRA coverage, which ends in June 2018. I’m not sure what I’ll do then," Edwards said. Edwards said she decided to run for public office because she almost lost her home to unexpected medical costs when she was uninsured, adding that she wanted to make sure "no one would have to go through that." The former lawmaker said she proudly supported ObamaCare, which she argued is not perfect, but a good foundation to build on. Edwards, who lost in the April 2016 Senate primary, said she spoke to many Americans across the country during a three-month road trip who expressed concern about being able to afford medical care.